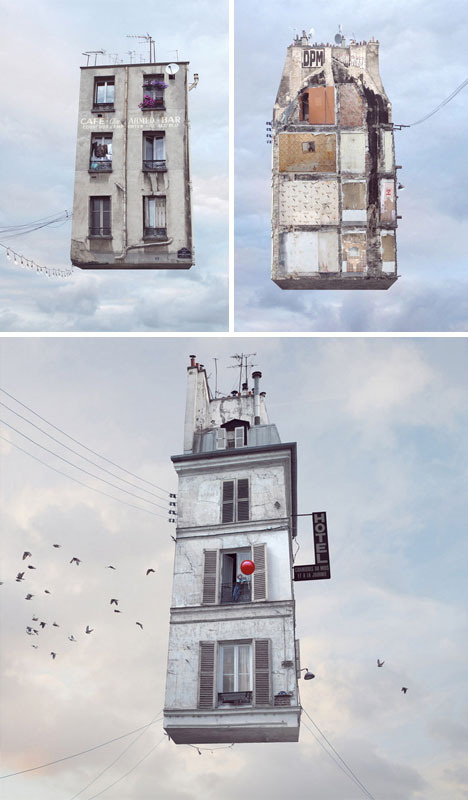 Context – that is the key to taking the ordinary and making it amazing in this series of displaced homes soaring up from forgotten streets of Paris. The results float like an intentionally mundane version of Pixar’s UP, or a modern-day urban Wizard of Oz Tale. 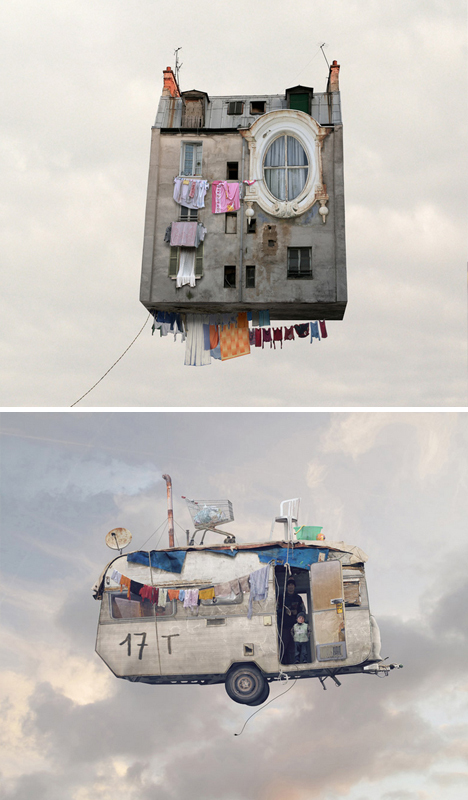 Laurent Chehere picks a range of dwellings, but most are dilapidated and seem perhaps sad in their crowded urban environment. 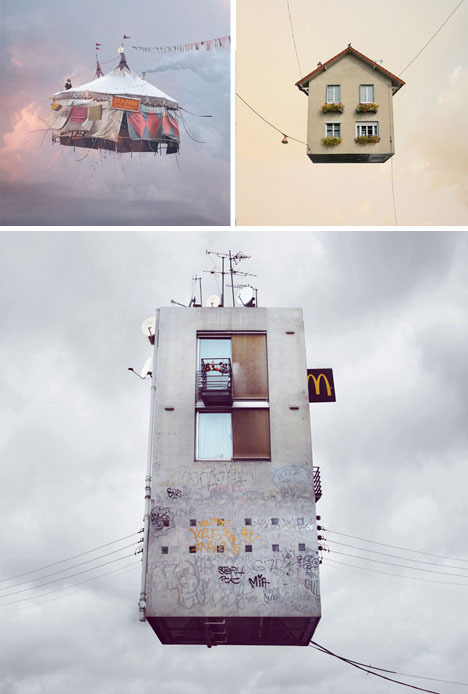 She takes photographs of local buildings, tents and trailers, then photoshops their surroundings into something radically new. Some are slathered in graffiti – others shown with clotheslines in everyday use. To this, she adds a few whimsical gestures – power lines, strings of lights, earthward ladders and other odds and ends to tie down each piece like a balloon and keep it from floating away. One consequence of ripping these from the ground and setting them in the sky is simply an enhanced focus on an otherwise-connected building. 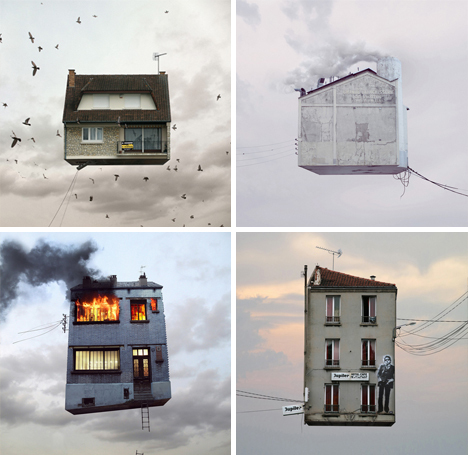 In these isolating images, townhouses become standalone works, and we start to see them differently.